Josh Wedderkopp, Stogumber's Class Two teacher, has won a national 'Let Teachers Shine' award, 2014, with his Storyquests project, set to begin in Autumn 2014. 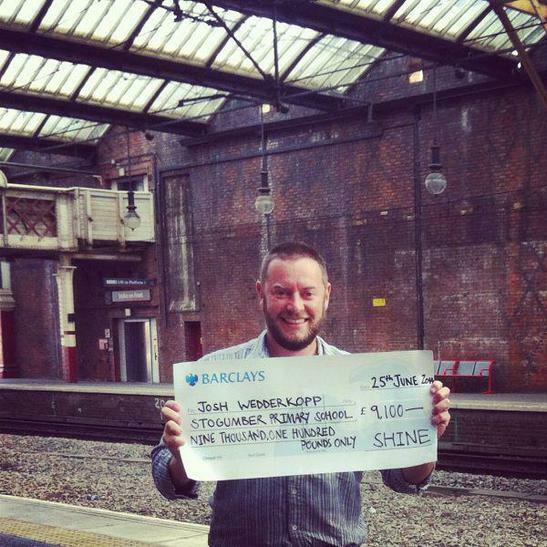 For more information about the SHINE award, click here. The project's aim is to immerse our pupils in local history, nature and folklore, by taking them on interactive 'story walks' in the villages of Stogumber and Criwcombe, as well as on the Quantocks. We'll have storytellers and the Quantock rangers involved. Once we have the children all fired up we'll guide them through creating their own, interactive, Storyquests. 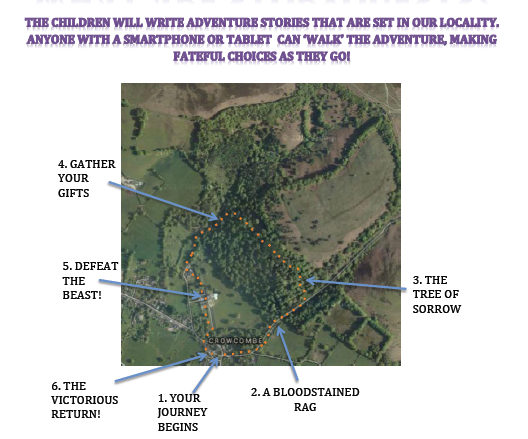 These will be GPS linked to the real world so readers will walk through the story, unlocking episodes on their smartphones or tablets as they follow the route. The children will anchor their stories to real objects: trees, monuments, gateways etc., tying in fantastical creatures and events. We hope to inspire reading and writing in children, particularly boys, who haven't connected in the classroom, as well as stretching the more academic pupils. We also hope to get families out and about, exploring the locality and uncovering its many treasures. Chris Jelly, a local storyteller, is pioneering the Storywalks concept and we're going to work closely with him. If you want a taste of what our project will be try his own storywalks, set across West Somerset.